Returning to the Sci-Fi Chronicles book (which I’m loving! ), it’s time to take a look at one of the cinematic creations of Sir Arthur Conan Doyle. Not only is he the creator of the world’s greatest detective, Sherlock Holmes (sorry Batman fans), but he also wrote a few stories involving a professor by the name of Challenger. 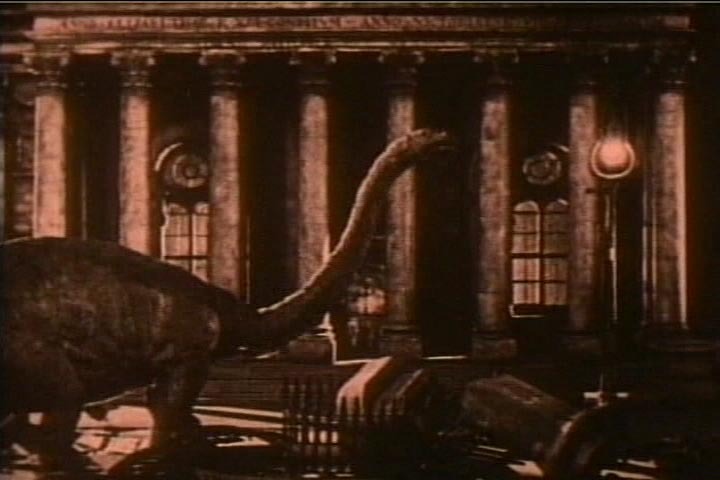 The most popular of his stories, The Lost World, first found its way to screens in the silent era, and some 90 years on, this one is still a lot of fun to watch! Wallace Beery stars as the Professor, who is on the verge of being laughed out of academe in London with his seemingly preposterous claims that he discovered an Amazonian plateau that is still inhabited by prehistoric life. Infuriated by the laughter and mockery, he issues an academic dare, inviting people to come along. He gets a number of volunteers, amongst them, Lloyd Hughes as newspaperman, Ed Malone, and Bessie Love as Paula White, who is coming on the journey to find her father, who was lost and left behind on the previous expedition. Using the rescue angle to help finance the attempt, Challenger leads his team deep into the heart of South America. Arriving on the continent, Challenger’s claims are quickly proven to be true as the arrive at the plateau and stumble almost immediately across some stop-motion dinosaurs, and some strange man-apes who seem to pal around with chimps. The stop-motion work is amazing for the time, and must have been nothing short of stunning when the film first screened. Sure, we’ve come a long way since then, but for the time, these are amazing effects. These effects helped pave the way for so many things that followed, no matter how hokey they appear now. Our heroes become trapped on the plateau and as the search continues for Paula’s father, dangers abound, romance blooms, and the party is able to return to London with a prized specimen… that unfortunately escapes before it can be presented and wrecks havoc on old London-town. I will say that knowing what we know of dinosaurs today, a lot of the behaviour seems questionable and goofy, but that doesn’t lessen the amazing work that went into creating these animals for the screen. It also tends to stay fairly close to its source material, and garnered Doyle’s approval when he and his family saw it. It’s amazing to see these films, and to know how they affected the movies that came after it, how they influenced special effects, and still made the effort to tell a good story. Challenger’s expedition, and the film are both a success, and I had a great time watching this one. 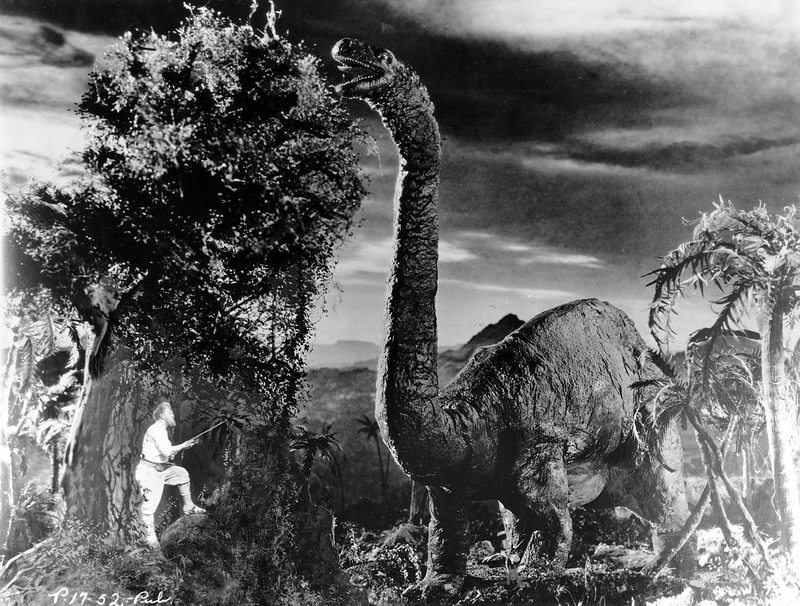 There are tons of memorable sequences, including a rather toothy Brontosaurus taking on a vicious Tyrannosaurus Rex, the strange ape men may have needed more time on-screen, but the dinosaurs are everywhere, and a lot of fun to see in motion. This was a real delight! Check it out if you’ve never seen it!